Food Logistics, the only publication exclusively dedicated to covering the movement of product through the global food supply chain, has named Gary Keimach, Senior Vice President Supply Chain and Pricing Strategy for Martignetti Companies, to its 2019 Food Logistics Champions: Rock Stars of the Supply Chain award. 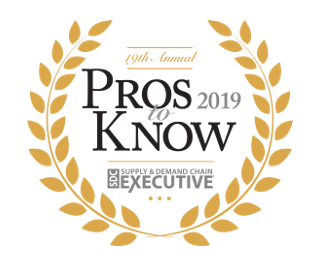 Blue Ridge Global Vice President of Product Development Santhosh Srirambhatla has been named to the 2019 Provider “Pros to Know” by Supply & Demand Chain Executive. Blue Ridge, provider of comprehensive, cloud-native supply chain planning solutions, announced today that the company completed a record FY 2018, achieving a 62% increase in bookings fueled by net new customer acquisition. Blue Ridge Global announced today that wine and spirits distributor Epic Wines & Spirits has selected supply chain planning solutions from Blue Ridge to optimize its wines, beers, and spirits products, imported from all over the world. 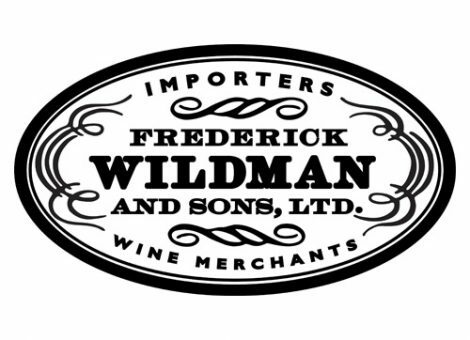 Fine wine and spirits importer Frederick Wildman & Sons has selected supply chain planning solutions from Blue Ridge to forecast demand of its products to align with its inventory distribution. Blue Ridge Global announced today that leading U.S. Hispanic food and beverage distributor Iberia Foods Corp has selected supply chain planning technology from Blue Ridge to align the distribution of its product inventory with expected demand from customers. Blue Ridge Global announced today that Tree of Life, a Canadian food distributor, has selected the Blue Ridge Integrated Business Planning (IBP) solution to support the alignment of the company’s revenue and financial plans with its demand supply. Frost & Sullivan has recognized Blue Ridge Global with a 2018 Customer Value Leadership Award, naming the Atlanta-based company as the Best Supply Chain Planning Solution for Distributors. 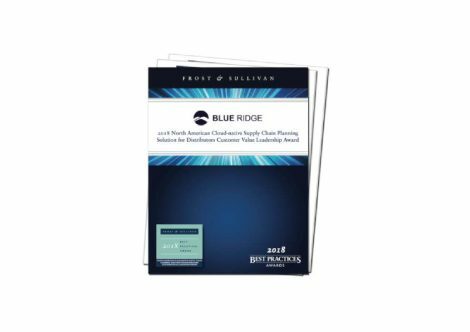 Blue Ridge is proud to provide best-in-class, cloud-native supply chain solutions to major retailers and distributors looking to forecast a more foreseeable future.